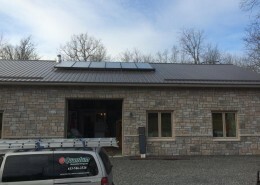 Off-Grid home 2 – Quantum Renewable Energy Inc. 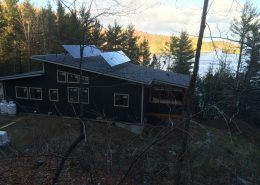 This system was designed for a 2400 sqft custom built home located 1km from the nearest power lines. 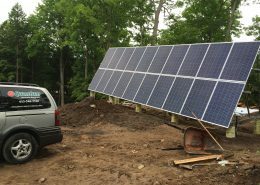 Bringing in grid power was cost prohibitive, and the customer was interested in keeping the build renewable. 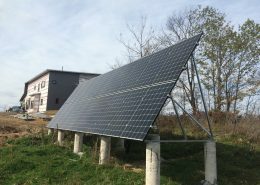 Power is supplied by 20 Canadian Solar 265W modules on a 60 degree ground mounted rack. The 60 degree angle promotes snow shedding and maximizes power production through the dark winter months. Energy is stored in 12 Surrette Rolls 4V batteries. Two Midnite Solar charge controllers handle the solar input. 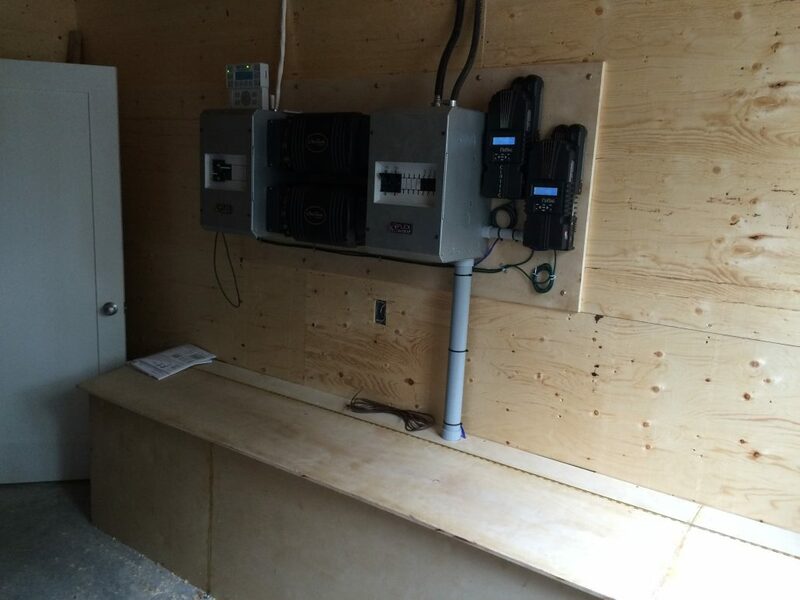 AC power is provided by a double stacked Outback FX3648 inverter board capable of providing 7.2kW of power at 240Vac. An 8 kW propane generator supplies back up power during the winter months, when solar input is low.